Your Beast, By Any Other Name « a darker moon. Of course one should never judge a book by its cover–but we do. And how about its title? In the case of horror novels, especially those by authors who have yet to become brands, the title just might make or break the sale. So give it some thought. Then think some more. My least favorite titling strategy is to go with The Noun approach. You know: THE STORE, THE WALK, THE MAILMAN, THE DISAPPEARANCE. And yes, I am referencing much of the Bentley Little catalog. Sorry, Bentley. Like your work. Your book titles, not so much. Only rarely does The Noun actually work for me. For instance, Stephen King’s THE SHINING. It just barely works because it makes window shoppers ask themselves, “What the hell is a shining?” And because he’s Stephen King. And it’s THE SHINING. One of the best freakin’ horror novels ever published. Then there’s THE TERROR. That’s not just setting the mood for Dan Simmons’ historical tale of, well, terror. It also happens to reflect the name of the real-life HMS Terror, one of the two sailing ships lost in their 1840s voyage to the frozen Arctic. How perfect is that? Don’t settle when it comes to your own book title. It’s your readers’ first impression–even before that striking cover art. It’s just about all you have to hook readers in if they don’t have a body of work to rely upon. Here, then, are a few of my choices for best horror novel titles. Not every great-sounding horror novel ever written; just a handful that come immediately to mind. 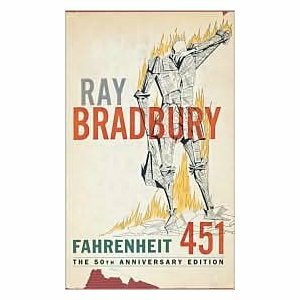 FAHRENHEIT 451, Ray Bradbury — In an earlier, shorter version of his classic dystopian vision, Ray Bradbury called this work THE FIREMAN. Hmm. FAHRENHEIT 451…THE FIREMAN. Make the call. BURNT OFFERINGS, Robert Marasco — Laurell Hamilton “borrowed” the title of this truly creepy 1973 haunted-house horror novel. Read it. GHOST STORY, Peter Straub — What it is. That simple. Nailed it even if it was the first title that came to mind. DRACULA, Bram Stoker — C’mon. You’re gonna leave out Dracula? THE WOODS ARE DARK, Richard Laymon — Not much of a Laymon reader (sorry, fanboys), but this title is ingenuous in its insidious simplicity. Compare it to another Laymon title: THE STAKE. See what I mean? 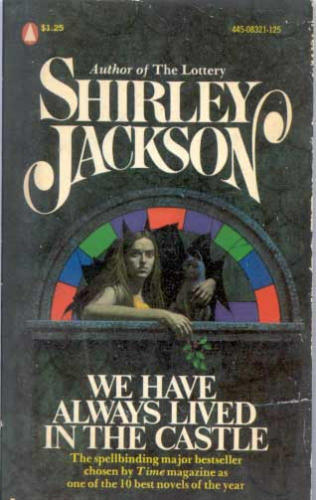 WE HAVE ALWAYS LIVED IN THE CASTLE, Shirley Jackson — Creepily benign, that title. What could possibly go wrong here? SOMETHING WICKED THIS WAY COMES, Ray Bradbury — By the pricking of my thumbs, something wicked this way comes. Never a more poetically sinister mood-setter. From the Bard himself. AT THE MOUNTAINOF MADNESS, H.P. Lovecraft — Deliciously, er, Lovecraftian. BLOODTHIRST IN BABYLON, David Searls— Sure, I sneaked in a mention of my Samhain Horror novel. But my blog, my book. And a pretty catchy title, methinks. BIBLE CAMP BLOODBATH, Joey Comeau — Camp’s not just in the title. Not looking for a lot of nuance here, but a bloody good read. CARRION COMFORT, Dan Simmons — No comfort here. 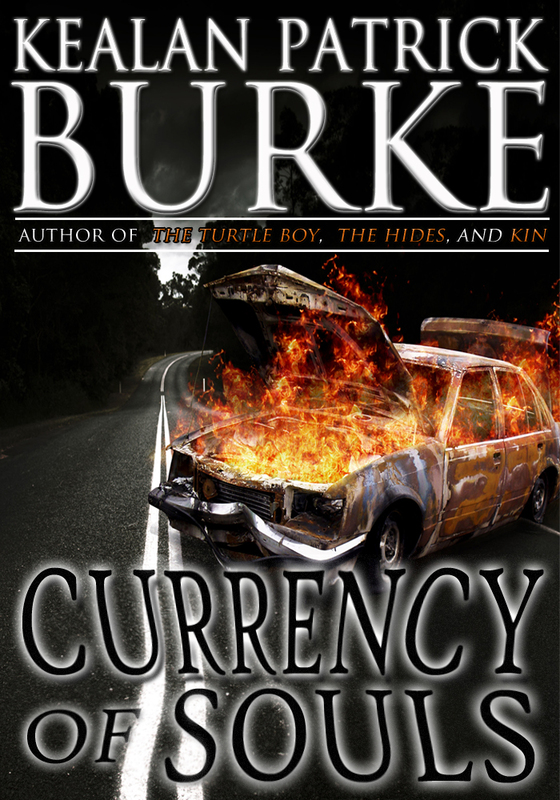 CURRENCY OF SOULS, Kealan Patrick Burke — Love the dude’s book titles, and have got two of ’em on my to-read list. ALL HEADS TURN AS THE HUNT GOES BY, John Farris — Yes, I love long, lyrical titles. Beyond that, I’m not sure what is it about this quietly creepy attention-grabber. Whatever it is, it’s always chilled me. Which is why I think it happens to be the best. horror. novel. title. ever. Hands down. What egregious errors have I made in selecting my best-of list and what’s can’t-miss horror novel titles have I missed? I’d love to hear from you. Excellent list of titles! Though I have few published works, from all those I have in the works, I know it is difficult finding exactly the right title that intrigues the passerby while giving something of a clue as to the nature of the story. My paltry four published stories I think meet this criteria, but I would like to hear your opinion of them: “Dream Warrior”, “Wolfsheim”, “A Tale of Hell”, and “Murder by Plastic”. As a bit of trivia, Hemingway had an interesting way of choosing titles. He would search the Bible for catchy lines under he had a list of a hundred, and then would start crossing them off as he searched for the best one. As I think of it, having an emotionally-charged verb in the title, such as “murder” or “dying” or “rampage” in the title would be a good idea, because of the sudden, visceral impact it would carry. Though not a horror novel, Faulkner’s “As I Lay Dying” would be a good example. A good emotionally-charged noun and/or adjective would be a good second choice. Some examples of these are Clive Barker’s “The Hellbound Heart” or “The Damnation Game” or “Books of Blood”. “Psycho” is another good example. “Hell House” is a good one; “Interview with a Vampire” is another. And a mysterious title that needs explanation thus drawing the reader into reading the work out of sheer curiosity is another good technique. “The Call of Cthulhu” is the prime example of this to my mind. Thanks for your comments, Phil…and for promoting my blog on your quite well-done blog. I truly appreciate it. As for your titles, I’m most intrigued by Wolfsheim. It sounds Germanic and lycanthropic, though I could be wrong on both counts. Point is, it’s intriguing enough to draw interest. I also agree with a lot of your other title examples: As I Lay Dying has always been one of my favorite titles. And what’s more perfect than Psycho? You would have thought the title would have been taken long before Robert Bloch took it. Best of luck to you (and it’s really not a matter of luck, is it?) in your writing endeavors, Phil. David, thanks for the kind response and words. You are right on the name “Wolfsheim”. It means “Wolf’s Home” in German. About thirty years ago, I spent a couple of summers studying German in Bavaria and Austria and did some hitchhiking. When I decided to write a werewolf story a few years ago, I remembered once walking into a rather spooky village in Bavaria that was just as I describe it in the opening paragraphs of the story, but not recalling the name of the village, I concocted Wolfsheim, which was appropriate given the nature of the story. Thanks once again for the kind remarks.